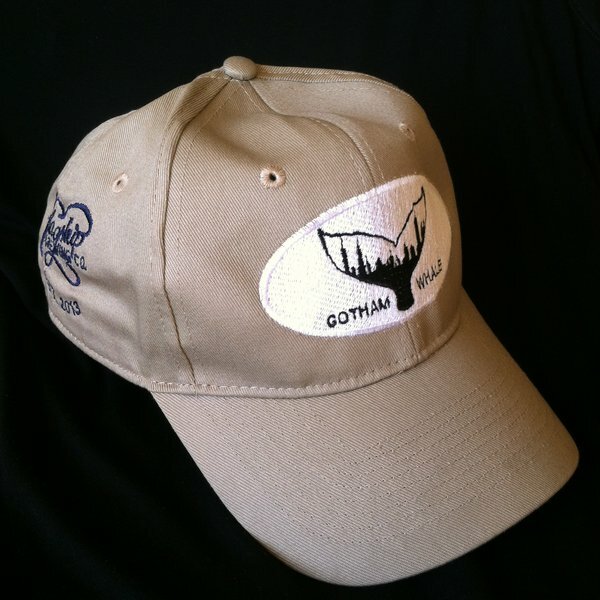 This tan hat sports the Gotham Whale logo on the crown with the logo of Flagship Brewery on the right side. Flagship is partnering with Gotham Whale in our “Wanted” program where we enlist eyes on the water to report sightings of marine mammals to Gotham Whale. A Free Beer can be claimed at Flagship Brewery for each authentic report as a “Reward”. Flagship Brewery, Staten Island.